Apple will require six-digit passcodes for Touch ID-enabled mobile devices in iOS 9. Apple plans to require six-digit passcodes to unlock its latest mobile devices that use iOS 9, its forthcoming mobile operating system. Users already have the option in iOS 8 of setting a much longer passcode than four digits, which is the current minimum requirement. Symbols and letters can also be used. Increasing the minimum number of digits to six means that there will be 1 million possible combinations rather than 10,000, which "will be a lot tougher to crack," Apple wrote on its website. The move to longer passcodes is not likely to please U.S. authorities, who have expressed fears that stronger security measures, including encryption, may make it more difficult to obtain information for time-sensitive investigations, such as terrorism. Apple beefed up the encryption in iOS 8, protecting more sensitive data and employing more protections within hardware to make it harder to access. Security experts have said that the use of a four-digit passcodes in iOS 8 is likely insufficient to protect data despite the protections Apple put in place. Users are better served by longer, unique passwords, but rarely opt for more complicated ones. The passcode change will apply to devices that have Touch ID, Apple's fingerprint scanner that is built into the latest versions of its hardware. Touch ID eliminates the sometimes fiddly process of unlocking a phone using the four-digit code, but Apple does require it to be entered after a device is restarted. iOS devices have other passcode protection features. 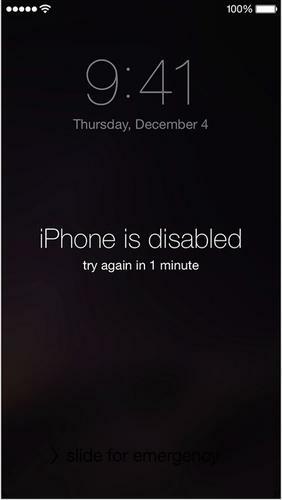 For example, if a wrong passcode is entered, an iPhone can lock someone out for a minute and for subsequently longer times if wrong passcodes are repeatedly entered. A device can also be configured to erase itself after 10 wrong attempts. The move to six-digits could make it a lot harder for law enforcement to randomly guess passcodes on an iOS 9 device if it hasn't been configured to wipe its data.